This is an unusual title for a cute idea for breakfast. When my children were young, I used to make these for them and they liked them and thought they were fun to eat. 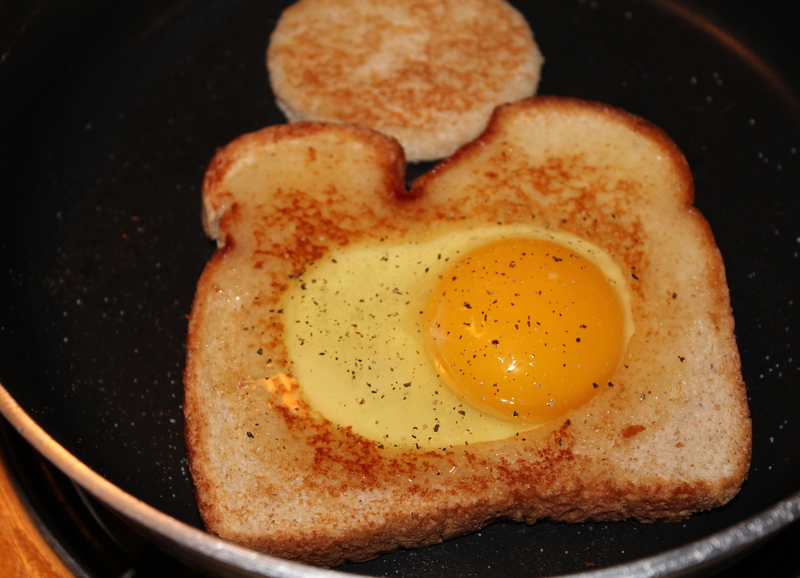 What it consists of is an egg cooked in a hole in a piece of toast. 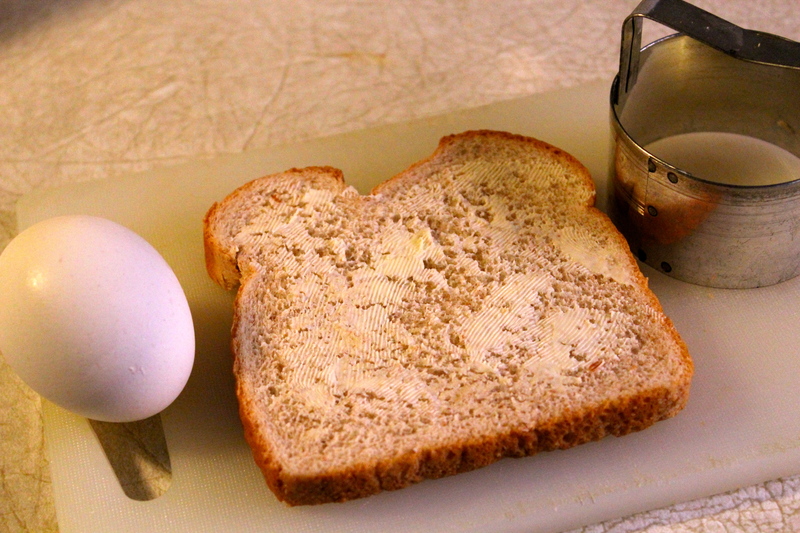 How it became named “Toad in the Hole” I don’t know but that’s what we always called this form of egg and toast. I decided to make one for myself, so I could photograph it, and I must say I really enjoyed it. Try this out on your children and see if they agree. Maybe you’ll like it too. 1. Cut a hole in the center of each slice of toast using a 3-inch cookie cutter, biscuit cutter, or even a glass will do. 2. Butter both sides of the toast, including the circle you cut out. 3. Arrange bread slices on a hot griddle, large skillet or other pan big enough. Crack one egg into each hole. Sprinkle each egg with salt and pepper. Add the circle cutouts to the pan to brown and crisp each side. 4. Keep heat at medium and cook until egg whites are firm. At end of cooking sprinkle with grated cheese if using and plate up each toast slice with it’s “hat” perched over the egg. 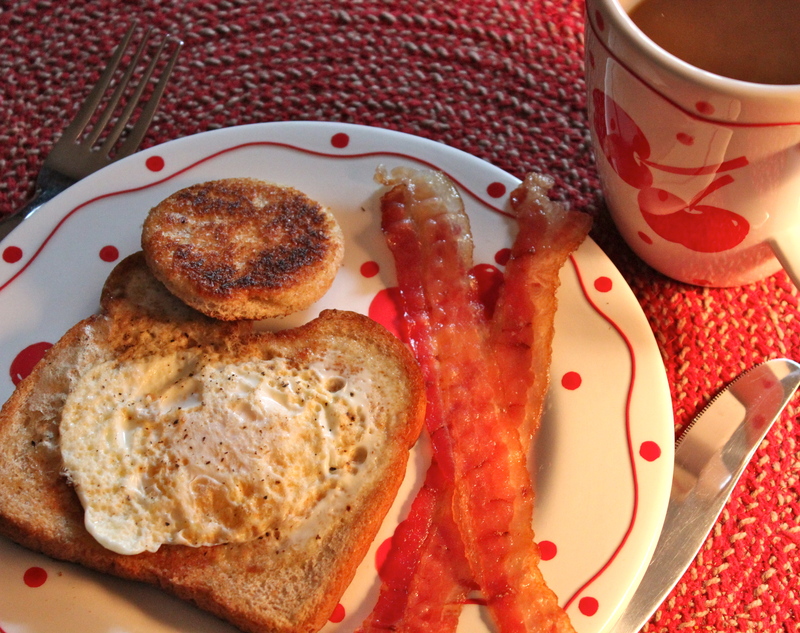 Serve with bacon or other breakfast meat. 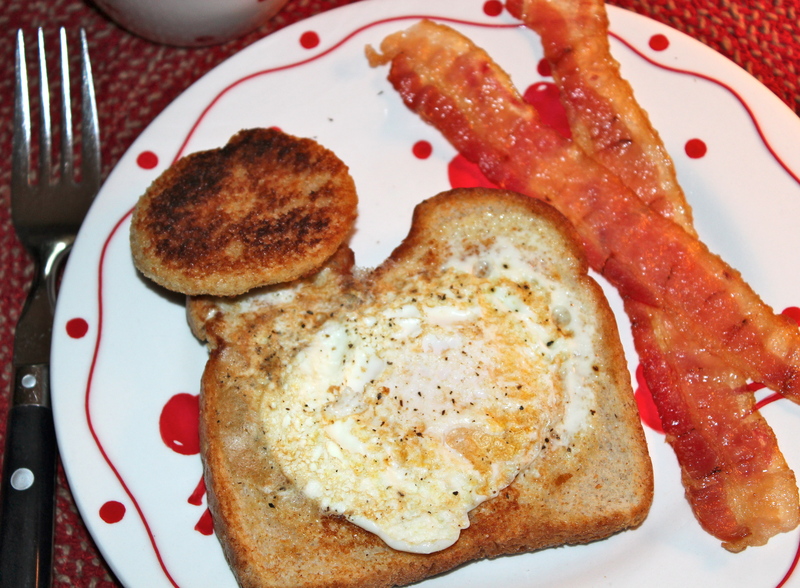 I love toad in a hole – it was the first thing I learned to cook as a teen. It makes the perfect dinner on the fly. Especially with a few slices of tomato on the side. I haven’t had it in a long time though, but now I’m thinking of making it this week. Thanks! I think I learned to make it in Girl Scouts. It brings back memories!